Some art is meant to be admired for its beauty and craftsmanship. Other art is designed to give you pause and allow you to experience something larger than yourself. An upcoming panel discussion in Hillsboro will explore the intersection of art and advocacy, when there’s more to the work than meets the naked eye. The panel discussion will feature representatives from Washington County-based groups who are using art as a medium to create deeper connections in the community, promote practices and ideas that lead to more equitable communities, and advance social change. The panel discussion will run from 6pm to 8pm on Thursday, October 18 at the Walters Cultural Arts Center in Hillsboro. Tickets are $10 and can be purchased online. The panel will be moderated by Mari Watanabe, member of the Cultural Coalition of Washington County and Executive Director of Partners in Diversity. 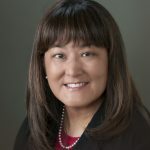 Mari Watanabe is the executive director of Partners in Diversity, a non-profit whose mission is to help employers recruit, support, and retain professionals of color in Oregon and SW Washington. She is also the program director of Leadership Portland and has served on the Oregon Commission on Asian and Pacific Islander Affairs, the Beaverton Diversity Advisory Board, the Cultural Coalition of Washington County, and among others. Eduardo Cruz Torres is a self-taught artist. He works in a variety of mediums including metal etching, metal engraving, pyrography (wood burning ), rock engraving, glass engraving, and black ink. 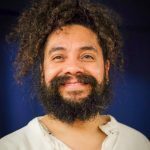 He is an active member of the Portland Latino Artist Exchange and is a featured artist in the 2018 GLEAN program. His work has been shown in individual and group shows around the Portland Metro area and can also be seen in the RJ Gallery in McMinnville. 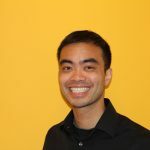 Paolo Esteban immigrated to Oregon from the Philippines when he was seven. Since then, he was raised in Beaverton. He was a founding member of Beaverton’s Diversity Advisory Board and is now the Equity Specialist for the Beaverton Mayor’s office. Paolo has made it his mission to ensure Beaverton is increasingly inclusive and responsive to issues facing historically marginalized populations. Yasmin Ruvalcaba graduated from Williams College in 2017 where she earned a B.A. in Political Science and Latinx Studies and was active in the theatre community. During her studies she noticed the lack of diversity and representation within the theatre community. She is currently the Community Engagement Coordinator for Advance Gender Equity in the Arts and she joined the Bag&Baggage Productions team as the Problem Play Project Manager in 2018. After a successful career in Sales, Marketing and Sales Operations, Bernie retired in 2016. Bernie’s interests include the arts, the environment, and social justice. 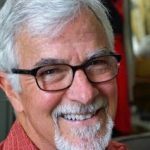 He chairs the City of Sherwood’s Cultural Arts Commission, volunteers with The Nature Conservancy ,and the Democratic Party of Washington County. Bernie is also a musical performer, songwriter and producer and has produced two CDs of his own material. 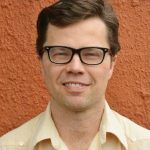 Nathan Teske has worked for over 17 years in Latino-serving organizations in metro Portland, having built programs at El Programa Hispano, Hacienda CDC and now Bienestar. Nathan led the charge to develop the Portland Mercado, our region’s first Latino public market. He has been Bienestar’s Executive Director since June 2017, and has repositioned the organization to be a player on both affordable housing and immigrant rights issues. This event is being co-hosted by the City of Hillsboro Cultural Arts Program and Tualatin Valley Creates.